Sell My House Fast in Norwalk CT in “As is” Condition So YOU Won’t Have to Make Any Repairs or Pay Any Realtors Commissions. If you need to sell your house fast in Norwalk Connecticut, we will make you a fast cash offer today and can close much faster than if you sold your house through a realtor! At FairOfferCT.com We Care about Helping People out of Stressful House Situations. Are you worried about making major repairs? Do you have major health concerns? Did you inherit an unwanted house? Have you suffered loss of income or loss of a loved one? Are you facing foreclosure or owe property taxes or do you have house in the probate process? Selling your house or a realtor is usually expensive because of the repairs you have to make the commissions you have to pay I can be a very lengthy process. 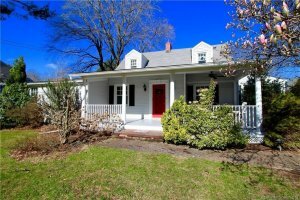 Sell My House Fast Norwalk CT! At FairOfferCT.com we can close on your house super fast actually interest a few days you can take months of your house and on the market if you sell your house through a realtor and there’s no guarantee that they can sell your home. Another big advantage of working with FairOfferCT.com is that in most instances we will cover all closing costs, so there’s no money coming out of your pocket at closing. Our goal is to make life easier for you and to get you out from under property that’s really stressing you out and give you a fair honest price for your house. We buy houses for cash throughout Fairfield county CT in the following towns: Bethel, Bridgeport, Brookfield, Danbury, Darien, Easton, Fairfield, Greenwich, Monroe, New Canaan, New Fairfield, Newtown, Norwalk, Shelton, Sherman, Stamford, Stratford, Redding, Ridgefield, Trumbull, Weston, Westport & Wilton CT.